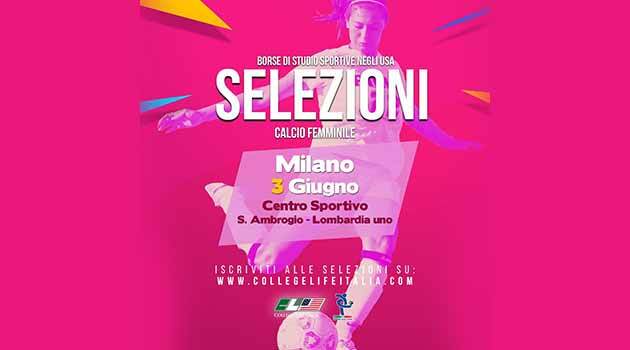 This evening at 21: 00 on ... "CALCIO LADIES RADIO"
ReteneTVision and ilnapolionline.com in collaboration with calciodonne.it broadcast "Calcio Ladies" the online radio broadcast all about women's football. 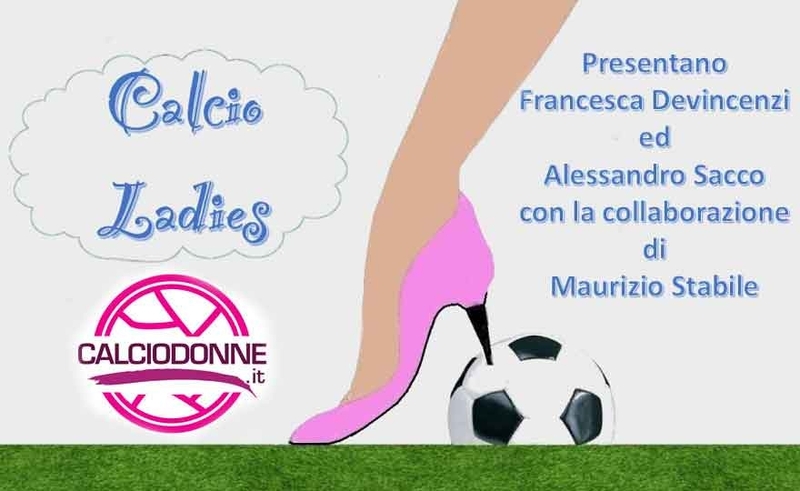 Read more: This evening at 21: 00 on ... "CALCIO LADIES RADIO"
This evening at 21: 00 tuned to ... "CALCIO LADIES"
Read more: This evening at 21: 00 tuned on ... "CALCIO LADIES"
Predictions calciodonne: competitors in comparison! After 4 days of predictions, at the top of the ranking we find "Architrave" with 315 and 7% of precise results. Behind a large lineup of contenders but on the wheel of "Number One" there is only "Alan58" with 304 points and 11% of precise results guessed. In fact, it is he who in the last forecast has amazed everyone by capturing the 21% of the precise results in front of "Sportivo" with the 17% and "Architrave" with the 7%. Read more: Predictions calciodonne: competitors in comparison! An important opportunity for Italian soccer players. Do you want to get scholarships to simultaneously pursue your sports and university career in the United States? College Life Italy gives you this intriguing opportunity. This company aims to give young Italian girls the opportunity to undertake a study program in the United States using their sports and academic skills to obtain substantial scholarships. A few days ago, after the approval of the "wikipediani" managers, the project / portal dedicated to women's football was inaugurated on wikipedia. The idea has been taken out by the sports journalist Peppe Cozzolino, I hope to create and manage content on the famous free encyclopedia, also author of the page of Daniela Sabatino, Barbara Bonansea, Valeria Pirone, Emi Yamamoto and all the athletes of Napoli Carpisa Yamamay included the pages of the Naples and Marsico companies. Cozzolino carefully updates the space dedicated to the Serie A Championship and now the portal, where you can find all national, European and world competitions. Every Tuesday morning from 10.00 on Rai Sport Mattina will broadcast a new program entirely dedicated to "women in sport". Tomorrow morning, in the studio in Rome, host the female soccer bomber Patrizia Panico while from the Milan studios will intervene, live, our Mario Merati. The appointment with the women's football is on Rai Sport: tomorrow morning with "Linea rosa" and on Wednesday with the transmission of Luca Pisinicca and Katia Serra with the "championship point". Ristorante Emilio, historic famous pizzeria Napoletana, promotes the activity with the players of Naples! The beautiful advertising initiative starring Napoli players. The city walls carpeted with numerous 6x3 posters. The Emilio pizza restaurant, from the 1954 produces the best pizzas in Naples and has chosen the players of Naples to promote their business! ... and then it is said that women's football and their worthy protagonists are not interesting for the advertising and promotion of companies. The idea of ​​going out in advertising with the girls of Napoli Calcio Femminile Carpisa Yamamay came to Francesco, owner of the Pizzeria Emilio restaurant. A nice idea that seems to be already bearing fruit. Among other things, the players of Peppe Marino have lunch at the restaurant "Emilio" before each game. A charge of energy before each meeting.